This week the Horror Duo take on a pair of holiday horror films. 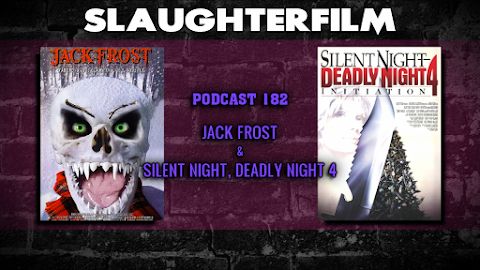 Forest reviews Jack Frost -- not the one with Michael Keaton -- and Cory follows this with Silent Night, Deadly Night 4. Forest & Cory also discuss Krampus, Alien: Covenant, TMNT 2, & Kill Bill 3. Oh my! Also, a hit and run driver totals Cory's automobile, and The Wu-Tang Clan team up with Bill Murry to steal back their record. For more Slaughter Film news and reviews, as well as show notes and special events, make sure to visit our website; SlaughterFilm.com.